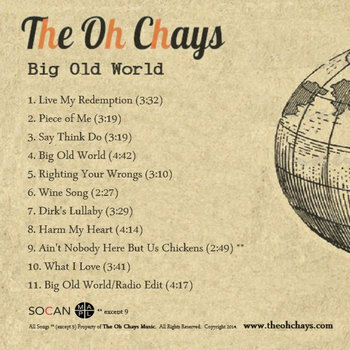 Big Old World is the debut album from Ontario Soul/Americana duo, The Oh Chays. Songs run the gamut from quiet, quirky love ballads to blistering jump blues. The common thread being Kelly Authier's powerful voice.